I would imagine that most everyone who reads this blog has a cell phone. Not so long ago, the cell phone was thought of as a convenience, but it’s now considered to be an essential device for daily communication. In a sense, the same can be said for prayer. Some people think of it as a convenience, while others recognize its true importance. 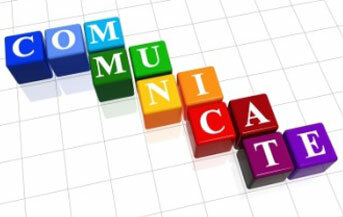 It is the essential means through which we communicate with God. Repent: Search me, O God, and know my heart; Try me and know my anxious thoughts; and see if there be any hurtful way in me, and lead me in the everlasting way (Psalm 139:23-24). Ask: Be anxious for nothing, but in everything by prayer and supplication with thanksgiving let your requests be made known to God. And the peace of God, which surpasses all comprehension, will guard your hearts and your minds in Christ Jesus (Philippians 4:6-7). Yield: Trust in the Lord with all your heart and do not lean on your own understanding. In all your ways acknowledge Him, and He will make your paths straight (Proverbs 3:5-6). As Yancey said, “If prayer stands as the place where God and human beings meet then I must learn about prayer.” I hope this PRAY acronym will help you learn more about prayer, and help you spend more time using this essential means of communication.